Sourcing the right people isn’t as easy as it might appear. Many employers spend a lot of time looking for the best staff without ever attracting the most suitable candidates. At ASA we believe in finding solutions to your recruitment needs. We know our business and we’re experts in recruiting people at all levels and across all sectors. With offices in Aberdeen, Edinburgh, Glasgow and Kirkcaldy we’ll work hand-in-hand with you to make sure your recruitment expectations are met and exceeded.‘ASA is delighted to be co-sponsoring the Banqueting & Events Chef of the Year Award with Pidy’ says Regional Director, Matthew Brown, Regional Director. ‘This allows us to demonstrate our commitment to the catering market in Scotland’. As one of the largest independent insurance brokers in Scotland, Bruce Stevenson provides first-class comprehensive insurance and risk management services for both business and private clients. In gaining Chartered Insurance Broker status in 2010 from the Chartered Insurance Institute, the company became part of an elite group of fewer than 100 UK intermediaries. In addition, they were last year awarded a prestigious three-star accreditation for exceptional customer service by Investors in Customers. With a number of offices in major cities throughout Scotland – in addition to a London base – Bruce Stevenson is already the broker of choice for a number of clients within the hospitality sector. 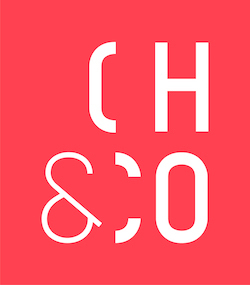 Creating uplifting catering and hospitality experiences across all life stages and locations, CH&Co believes that food has the power to make people feel good across all sectors in which they operate, including event catering, workplace cafés, corporate fine dining and visitor attractions, education and healthcare, among others. With over 25 years’ experience, Fresh Food Company supplies fresh and ambient products – most notably the highest quality fruit and vegetables – to hotels, restaurants, caterers, colleges, shops, offices and hospitals throughout Scotland. A dedicated preparation facility within their purpose built state-of-the-art premises allows the team to both machine- and hand-cut ingredients to exact specifications for ultimate consistency. Meanwhile, the in-house production kitchen specialises in parfaits, terrines, stuffed poultry and an ever-increasing range of products for the catering sector. Fresh Food Company: We source the best ingredients to make your business successful. The natural leader in green grading, Green Tourism’s mission is to encourage and enable people to make sustainable choices that reduce their impact on the planet. Recognised as the world’s largest sustainable certification programme of its kind and aiming to be the most trusted international eco-tourism brand, the organisation has attracted more than 2,000 members across the UK, Ireland, Italy, Canada and Zimbabwe. 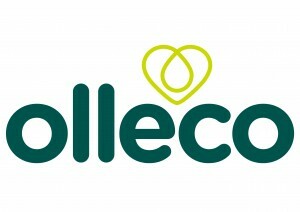 Supplying premium cooking oils to commercial kitchens and providing resource-recovery services – including the collection of used cooking oil and food waste – Olleco then converts this waste into renewable energy. As a national operator with a proud local service, the company benefits from both its own biodiesel and anaerobic digestion (AD) plants in addition to partnerships with local AD outlets throughout the UK. And the results underline its relevance for the foodservice sector: Biodiesel offers greenhouse gas emission savings of over 90% and diverts thousands of tonnes of food waste from landfill every year. As the catalyst for change in the entire waste industry, Olleco ensures that operators need not waste anything any more. 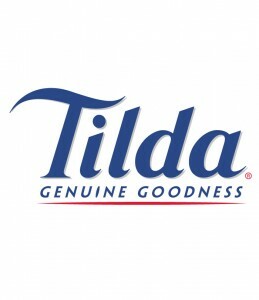 Proudly serving professional chefs since 1994, Tidla Foodservice brings ‘Genuine Goodness’ to dishes through its range of premium quality rice, and makes it easy for chefs to achieve perfect results every time. From the finest Basmati to speciality rice varieties including Arborio and Jasmine, the Tilda helps to create recipes that are versatile, healthy and will inspire the imagination. Offering a complete range of high quality, great-tasting rice in ambient and frozen formats, Tilda Foodservice provides a must-have ingredient for any professional kitchen.